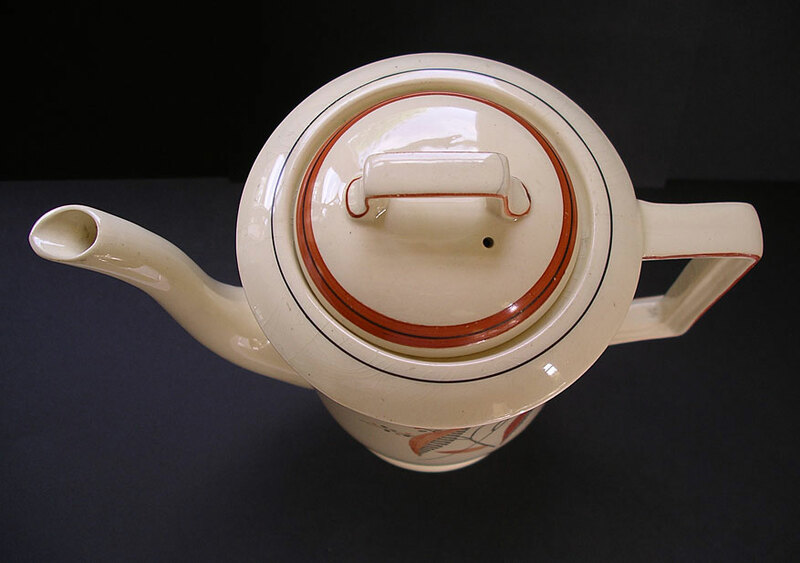 "A stunning rare example of art deco Staffordshire ceramics that vividly typifies all that is best about these jazz age pieces. 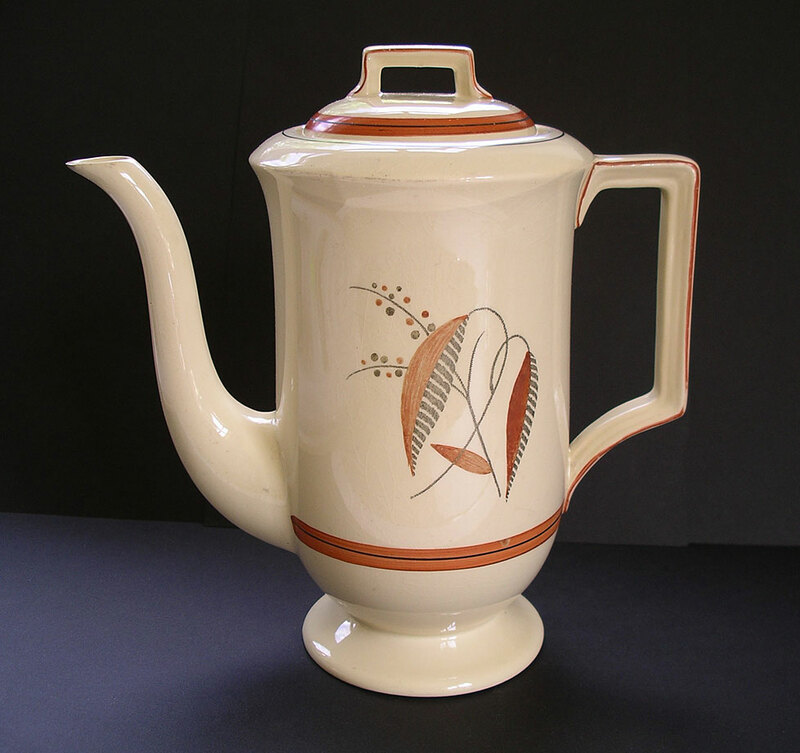 This is without doubt one of the most attractive of the Gray's Pottery thirties art deco designs with a cool minimalist contemporary look. 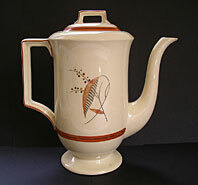 Dates from the mid 1930s with decoration almost certainly designed by leading designer Sam Talbot. A hand painted Leaf and Berry pattern in subtle muted colours that is as simple as it is stylish. A great decorative centrepiece and a welcome addition to your collection of best art deco antiques and collectibles." Antiques Expert Hamilton Bear. Marks: to base as as illustrated. Dimensions: width 200 mm max. height 205 mm max. Condition: In excellent display condition. Typical minor crazing to glaze in places. 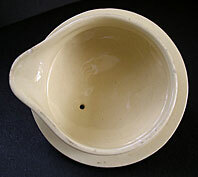 Two short faint hairlines to top inner rim of pot barely visible when lid is removed (illustrated) and a small chip to the inside flange edge of lid (illustrated). Small corner of rubbing wear to brown line rim to handle, through use, as illustrated. No restoration. 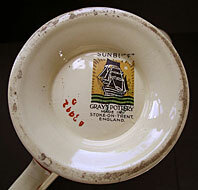 Overall one of the best surviving examples of a period Gray's Pottery coffee pot we have seen.